RandolphCarter wrote: The NO Pt. 4 is still the best sculpt I've seen of this character, hands down. I have to agree. I still love my copy dearly, and there's just something about Justin's sculpt that really does nail down that Part 4 look to perfection. I 100% agree! I've seen some nice ones, but nothing compares to the N.O. part 4, Justins work is just too awesome. All of my 13 collection is actually Justins work except for part 8, and thats only because he doesnt have one at the moment! Yea ive been lookin for that! Right now i have a DevilsLatex one, which is pretty nice, so for now im content, but i will always be on the lookout for the GOHS one..at least when i have cash. Just sent Justin cash for his chest and back for my part 7 upgrade, so dont have the $$ available right now. Hell yeah man!! Be sure to show us the chest piece and back!! Are you doing a costume or full size display? I guess you could do both. 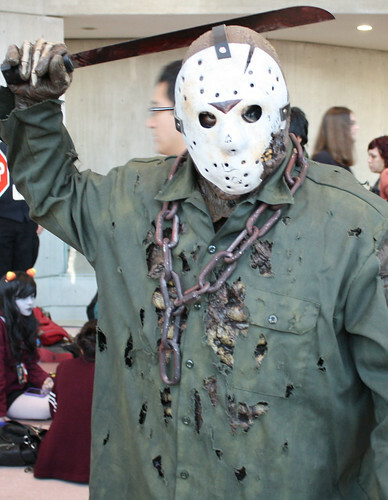 Chainsaw wrote: Hell yeah man!! Be sure to show us the chest piece and back!! Are you doing a costume or full size display? I guess you could do both. I have plans to use latex to make the chest and back attached to the undersuit shirt seamlessly and use latex on alot of the undersuit and make it all match the best i can. 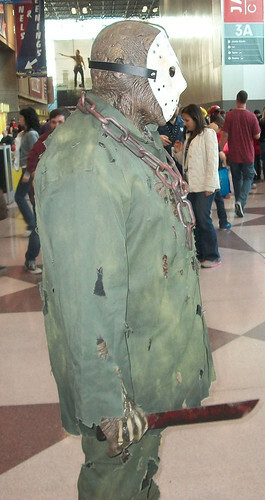 This way i can cut more holes in the shirt and be more accurate But Here is my costume at last years New York Comic con. It's still one of the finest Final Chapter replicas out there IMO. Here is my fifa coins site will sent to you.